Vitamin C is a water soluble vitamin naturally found in fruits and vegetables. It is critical for normal growth and development and is also suggested to be important for enzymatic reactions and optimum immune function. 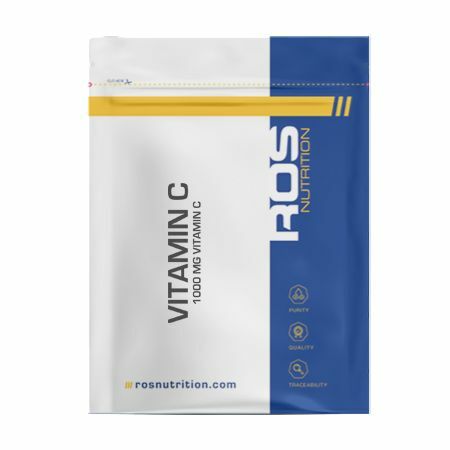 The body cannot store vitamin C hence, it must be replenished regularly by eating vitamin C containing foods or through supplementaton. Adequate vitamin C is particularly important if you are going through a period of stress or experiencing an infection. Antioxidant: Vitamin C also acts as an important antioxidant. Antioxidants help to reduce the damage caused by free radicals and are important for fighting disease. Free radicals are present in our environment in things like air pollution and tobacco smoke and even in our own bodies from the by-products of metabolisim. To help reduce the damaged caused by free radicals it is essential that we consume a balanced diet that is rich in micronutrients and antioxidants. mg = milligram, † = Not specified, EU RDA = European Recommended Daily Allowance. Ingredients: Ascorbic acid, citrus bioflavinoids. Other Ingredients: Microcrystalline cellulose, magnesium stearate, stearic acid silica. Take 1 to 2 tablets daily preferably with meals.